As Shadow Minister of State For Schools in 2010, Vernon Coaker MP showed his support for Voice in a Million. 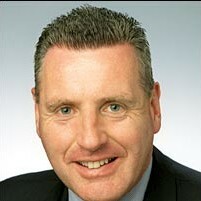 Vernon Coaker is Labour MP for Gedling in Nottinghamshire. He won the seat in 1997, taking it from Conservative Junior Minister Andrew Mitchell with a majority of 3,802. The seat was retained in June 2001 with a majority of 5,598 and then again in 2005 with a majority of 3,811. In the most recent election (May 2010) Vernon Coaker retained the Gedling seat with a majority of 1,859. Vernon has been Shadow Secretary of State for Defence since October 2013. Prior to this role Vernon was appointed as the Shadow Secretary of State for Northern Ireland. Before this he was appointed Shadow Minister of State for Policing when Labour elected the Shadow Cabinet in September 2010. After the General Election (May 2010) Vernon became the Shadow Minister of State for Schools. Before the 2010 General Election Vernon was the Minister of State for Schools and learners, he was first appointed to this position in the June 2009 reshuffle. He was previously the Minister of State for Policing, Security and Crime. Before being a Minister of State Vernon was the Under-secretary of State in the Home Office.